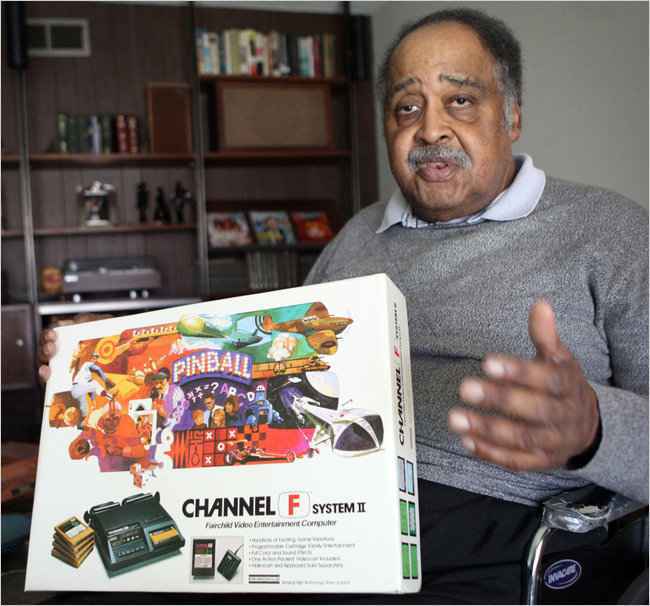 Gerald A. Lawson, a largely self-taught engineer who became a pioneer in electronic video entertainment, creating the first home video game system with interchangeable game cartridges, died on Saturday in Mountain View, Calif. He was 70 and lived in Santa Clara, Calif. The cause was complications of diabetes, said his wife, Catherine. Before disc-based systems like PlayStation, Xbox and Wii transformed the video game industry, before techno-diversions like Grand Theft Auto and Madden NFL and even before Pac-Man and Donkey Kong became the obsession of millions of electronic gamers, it was Mr. Lawson who first made it possible to play a variety of video games at home. In the mid-1970s, he was director of engineering and marketing for the newly formed video game division of Fairchild Semiconductor, and it was under his direction that the division brought to market in 1976 the Fairchild Channel F, a home console that allowed users to play different games contained on removable cartridges. Until then, home video game systems could play only games that were built into the machines themselves. Mr. Lawson’s ideas anticipated — if they did not entirely enable — a colossal international business.